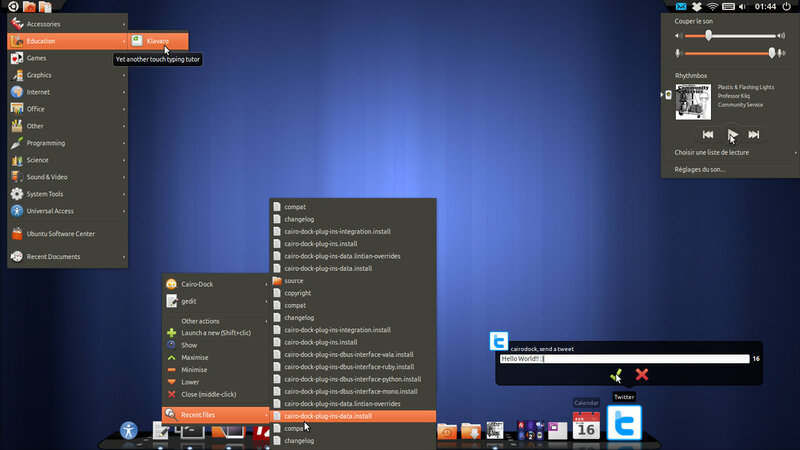 Cairo Dock 3.0 was released recently, featuring numerous new features and enhancements. For those who don't know it yet, Cairo Dock is an animated application launch bar for the Linux desktop, comparable to the dock in Mac OS X.
Cairo Dock started shipping with a custom Gnome session since version 2.4.0, but I always had difficultlies configuring it as a standalone launcher/shell under Unity. But guess what, version 3.0 has sorted out everything for me at least, it seems. 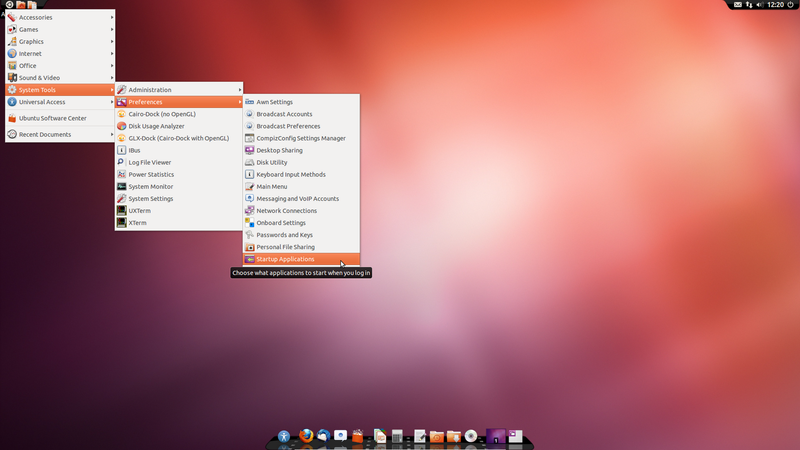 It is almost a fully configured launcher by default now, and you don't need to spend hours configuring it. 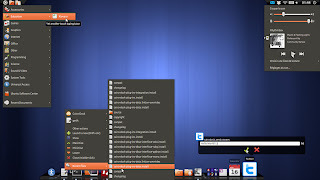 As you can notice, there is a dock at the bottom of the screen holding all the application shortcuts, an old Gnome styled menu in the top-left corner with shortcuts to bookmarked folders, and a 'control station' in the top-right corner, holding the power control, sound and notification applets, as well as the clock. Another important thing to mention is that with maximized windows, Cairo Dock hides itself, but doesn't hide the digital clock, meaning that clock stays on top of everything else, handy indeed. 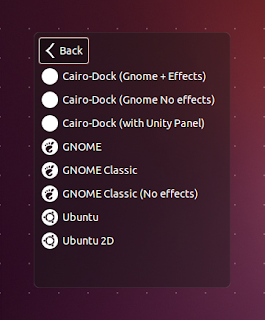 Another handy addition in version 3.0 is that you can now run Cairo Dock with the Unity 2D top panel. 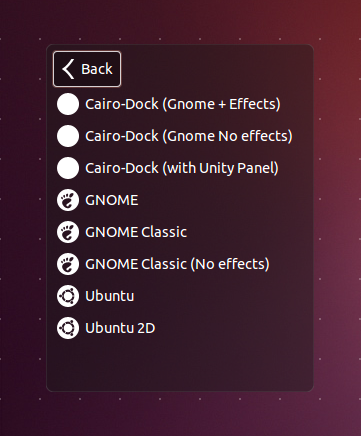 Thus, you can have all the goods of Unity's Global Menu, control applets and an old Gnome 2.x taskbar in the form of Cairo Dock at the bottom of your screen. 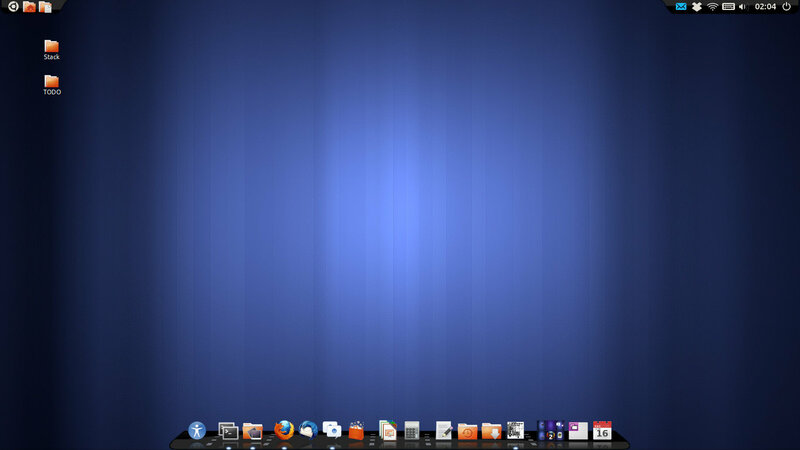 The control of the dock from the keyboard is now very powerful, many shortkeys have been added in several applets. 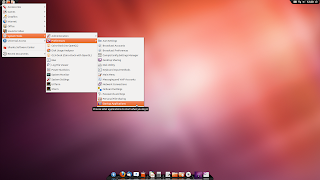 You can activate a launcher by pressing a shortkey + its number as for Unity Launcher. And all shortkeys can now be managed in a single place in the configuration window. Once Cairo Dock is installed, log out and choose any of the Cairo Dock sessions from the session options at the login screen.